Oh thats great Wend and as my fav is there too AGCD all the blue is fab too. Thank you all for your kind comments. I've been a bit sparse with my output lately. Trying to catch up a bit now. The first one, is really a black and white drawing in pencil, but it is very difficult sometimes to reproduce it properly, and it comes out all blue. (Your version is a more accurate version than mine). But there is no blue in that one, just my bad technique. I'm out of practice these days. But the others have got blue in, not quite so pronounced as your adjustment, but I always put in the colours as I see them. I do think I might see more colour than the average person, mainly because I am scrutinising it for such a long time, and looking into every tiny bit of the picture to see what colours I can use to make it interesting. Ahh - so it's not a finishing technique, more a flaw of the printer reproduction. I was wondering because normally adjusting the contrast just makes the file darker or lighter. But these seemed to change completely. As long as I haven't altered your work I'll leave them up. No you haven't altered anything Maggie, in fact the first one is what I was trying to achieve, so you've done it for me. Thanks. Wend, breathtaking as always! I'm in awe. Hope you are well! RenegadesEPC wrote: Wend, breathtaking as always! I'm in awe. Hope you are well! Thanks Claudia, I am fine, hope the writing is coming along ok, and the study of course. Good to see you Wendeh and your latest masterpiece. Your work never ceases to amaze me. I'm glad you're doing fine, Wend I should have the next chapter completed soon! I'm typing like mad! RenegadesEPC wrote: I'm glad you're doing fine, Wend I should have the next chapter completed soon! I'm typing like mad! I'm very excited to be writing it again, Wend! Things seems to have settled down so I should have the next chapter done very soon! Actually, I'm working on it right now!! With help from a lightbox, I made this sketch of "traveling Dusty"
Dang Nancy that's really good. allherfaces wrote: With help from a lightbox, I made this sketch of "traveling Dusty"
That is really nice Bosseh. I'm not familiar with Light Box. I'll go and check it out. Thanks, you all. For those interested, the product is called a Daylight Wafer LED Light Box. I kinda' like the pastel on top. Not really fan art as the artist is a professional but the painting has likely been commissioned by a fan. The artist is Luke McDonnell and I think the portrait is just gorgeous. It is a lovely portrait. Someone is going to be lucky to have this hanging on the wall. I'm no art critic, but I know what I like, and that's pretty amazing. Thanks Carole. That's a nice one at the top Chad, I don't think I've seen that one before. daydreamer wrote: Not really fan art as the artist is a professional but the painting has likely been commissioned by a fan. The artist is Luke McDonnell and I think the portrait is just gorgeous. Yes this is beautiful, and it is totally like Dusty. I wouldn't mind that hanging in my home somewhere. Wow ! One question Wendy How much? No seriously that's totally awesome. darren2722 wrote: Wow ! One question Wendy How much? No seriously that's totally awesome. Hi Darren, it's yours for a donation to the flower fund if you want, I'll leave the amount up to you. You are joking aren't you Wend. Seriously If you are sure. Can I PM you? darren2722 wrote: You are joking aren't you Wend. Seriously If you are sure. Can I PM you? Another really lovely one Wend. Thanks to you all for your kind remarks. Lovely drawing Wend. What a clever girl you are! Wendy is struggling to put a pic on LTD, I said I would try, I think its working! This is Wendys latest Dusty drwaing,its lovely isn't it? Thanks for that Cas I think I'm out of practice with Photobucket. 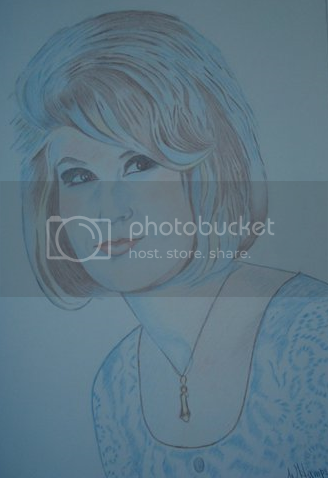 Thanks Photobucket for totally screwing up our Dusty Art Forum. We love you NOT. Last edited by Hampson on Fri Nov 10, 2017 7:01 pm, edited 1 time in total. This is another lovely drawing Wend, love the hair! That's totally awesome yet again Wend. Hampson wrote: Thanks Photobucket for totally screwing up our Dusty Art Forum. We love you NOT.